Nicknamed the animal king, lions are one of the most recognized and respected animals. Lions hold positions of respect in our cultures, religions and literature. The lion likeness is prominent in sculptures, on flags, and at the entrance gates of ancient cities and sacred sites. So, it’s not surprising that some dog breeds were developed to look like lions. So, let’s roar about five dogs who look like lions right here. Löwchens were groomed by court ladies to look like lions. Photography courtesy Kat Roll, www.sylvanmystlowchen.com. Nicknamed the Little Lion, we were developed as companions in pre-Renaissance Europe. The court ladies groomed us to look like lions. For centuries we have kept royalty warm in bed, serving both as a flea catcher and heater. Today in my lion trim, you’ll notice my long-flowing mane and short-clipped hindquarters and tail — which finishes with a lovely plume! While my overall appearance resembles a mini lion and I’m indeed courageous, my personality is more friendly than fierce. I’m a bright, lively, inquisitive and affectionate companion dog. Whether you clip me in the lion or the casual puppy trim, I’ll still resemble a lion. And I am always brave-hearted! 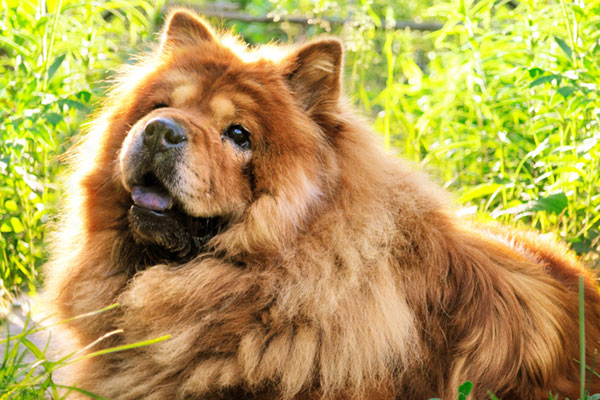 Chow Chows are among the dogs who look like lions. Photography by Sergieiev/Shutterstock. I’m an ancient, noble breed, lion-like in both heart and heroism. My expression is both regal and lordly, if not slightly snobbish. We were developed in China as multi-purpose working dogs. Our tasks included guarding, herding, hunting and pulling carts. My independence is well-known, but my devotion is unquestionable. When we meet, you’ll notice my dignity, aloofness with strangers and confidence. At home, I’m at ease and devoted to family. One of my most distinctive physical traits is a lion’s mane ruff around my head and shoulders. I also happen to have a blue-black tongue, but we’ll save that conversation for another day. Leonbergers were bred in Germany to look like lions. Photography courtesy Ginny Bartholomay. Photography by Cyd Erich. Similar to the lion species, we Leos are distinctive male to female. Males are generally larger and more lion-esque in appearance. And it’s no accident that we resemble lions: Heinrich Essig of Germany purportedly bred us to match his town’s crest showing a lion up on his rear legs. But along with our regal good looks, we were developed for farming, guarding and drafting. These days, our agility will remind you of a lion, but let me mention one (of many!) differences between us and the lion: Lions can swim if necessary, but they don’t relish water play as we do. Some of us even perform water rescue work! 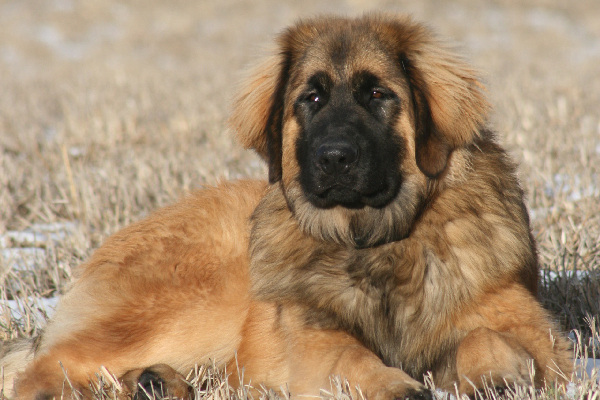 Tibetan Mastiffs make our list of dogs who look like lions. Photography courtesy Rebecca Chambliss, the American Tibetan Mastiff Association. Let me be the first to caution you not to randomly trim your individual dog to look like a lion when he’s not meant for a lion-esque look. Many of the breeds (such as me) with a lion-esque appearance have physical traits that were also developed to facilitate work or keep us healthy and weather-tolerant. My mane, for example, keeps me warm. As for my breed, we were developed in Tibet for guarding flocks and homesteads, but our specific early history is still a mystery of sorts. I do, however, know that my while ancestors were strong, they were bred to show an even-keeled nature around their people. Given our large size and imposing appearance, today we serve as dependable deterrents. Although protective and loyal, we’re a strong breed both physically and mentally. We aren’t a good match for newbie dog owners. 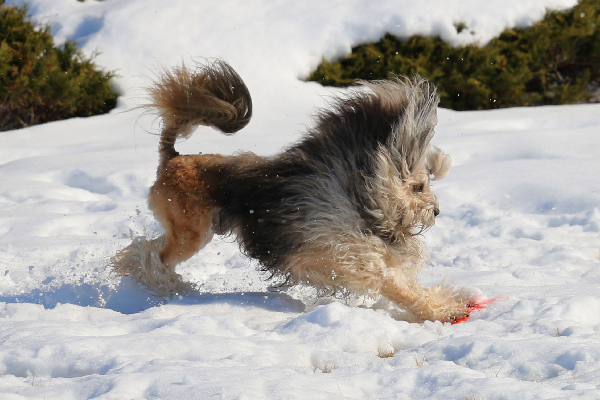 Chinese Crested dogs also resemble lions. Photography courtesy Sharon Wagner. 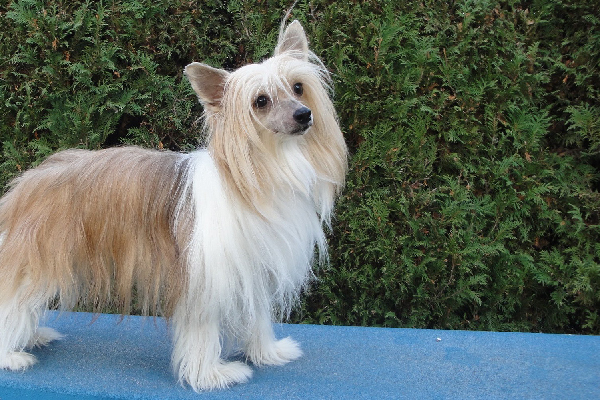 Within our breed we have both the powder-puff variety with profuse hair and the (much-discussed) hairless variety. Even the hairless, however, have hair on their heads, feet and tails in a rather lion-like manner. Perhaps I’m imagining the lion-esque resemblance, but bear in mind that lions were popular symbols in China, our country of origin. Statues of lions, often in pairs, guarded Chinese Imperial palaces or tombs, and the homes of the wealthy. My ancestors, however, certainly weren’t developed for guard duty. The Chinese bred us for our vivaciousness and diminutive size. Graceful and sprightly, we were treasured trade items among Chinese explorers, sailors and merchants worldwide. Cat-like with agility, we also killed a rat or two on board ships. 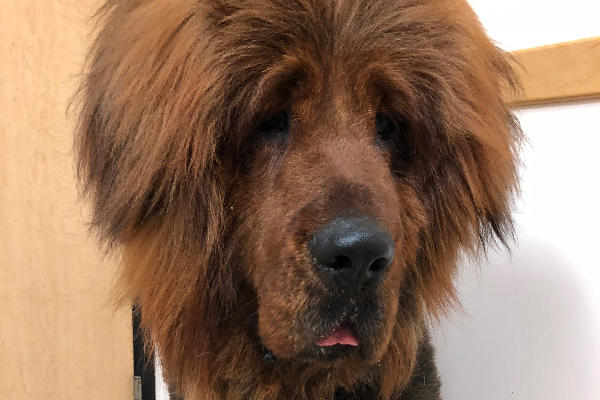 Tell us: Does your dog look like a lion? What breed or breeds is he? What do you think about dogs who look like lions? Thumbnail: Photography by Sergey Lavrentev / Shutterstock. The post 5 Dogs Who Look Like Lions appeared first on Dogster.